Our new Etta and Etta Eyelid under cupboard lights are versatile miniature LED lights. Here are our designers’ favourite ways to use them. 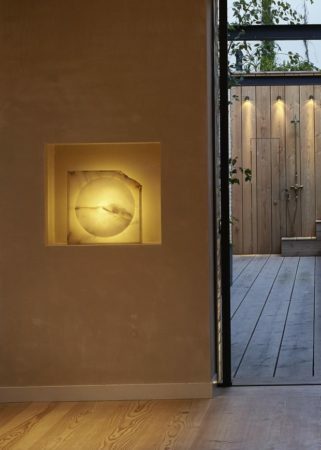 Fit an Etta at the back of a niche to direct light towards a sculpture, creating a wonderful glow. This works particularly well if the sculpture is of an interesting texture, pattern or shape. Make a feature of shelving. Place the Etta Eyelid at the front of the shelf to wash light onto your chosen objects. 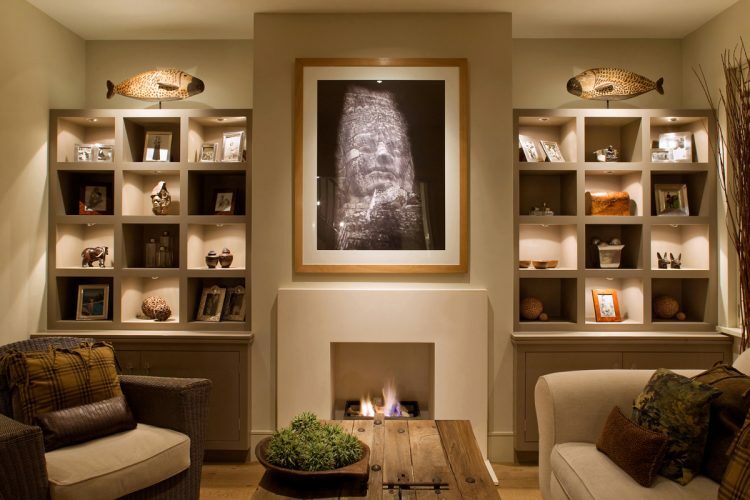 This is a great way to create a feature in the room. For example, a checker board effect has been made here by placing an Etta Eyelid at the front of every other shelf. Where you have narrow shelving, place an Etta Eyelid in the middle of the shelf’s roof to skim light down the back, accentuating the chosen finish of the joinery. 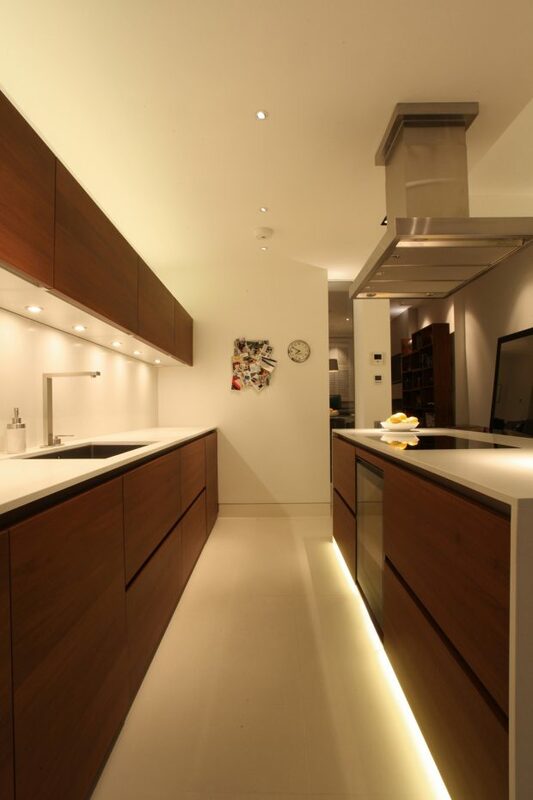 Use as task lighting in a kitchen. Place the Etta under kitchen units to provide a perfect amount of task lighting to work surfaces below. 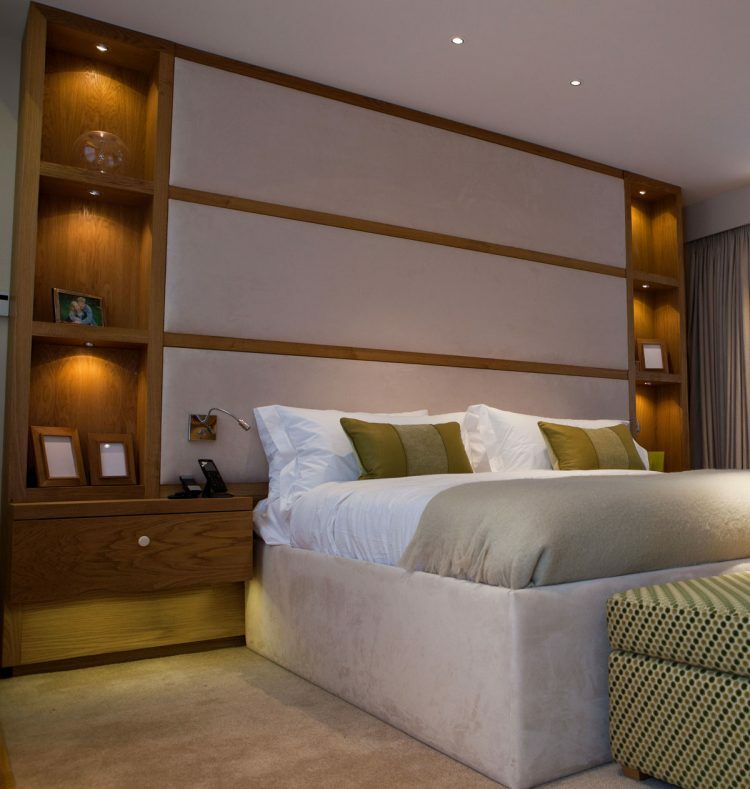 Ensure they are placed on a dimmer to ensure your Etta’s produce a practical amount of lighting during the day and an intimate amount in the evening. For full products details of the new Etta, see here, or contact a member of our sales team on 0207 371 9000.